In homeopathy, we believe that disease can be cured, and that our body, mind, and spirit are interconnected. Through homeopathy, our organisms can heal illness when brought back into balance. This return to balance can happen when we are stimulated by something that resonates on an energetic level. Homeopathic medicines are that gentle energetic stimulus. Homeopathic remedies, made from over 5000 natural sources — plant, animal, mineral– are specially prepared, diluted, and potentized or energized. We try to find a match between the symptoms associated with one of those 5000+ natural substances and your symptoms. When we find the correct match, you get better over a period of months, even though you may have only taken a few doses of a couple of tiny pellets. This method is extremely noninvasive, and effective with medical conditions that conventional western medicine often finds difficult to cure, such as autoimmune illnesses, diabetes, ADD, acid reflux, sciatica, thyroid imbalances, stomach pain, joint pain, ulcerative colitis, neurological problems, emotional problems, etc. To me, living with symptoms or chronic pain and taking many different medications for a lifetime is not health; rather, health comes from addressing the root problem that caused the symptoms and restoring quality of life. This is why I specialize in working with people with chronic illness, because I want to help restore health. The initial consultation with me takes about 2 hours. This session is ideally in person, either in my office in Akron, Ohio, or New York City. I also treat people long distance via Skype, FaceTime, and other technologies. In this conversation you tell me what you would like to address with a homeopathic remedy, and also everything that is going on for you physically and mentally, even those symptoms that may appear minor to you. I listen closely and take copious notes. I ask some questions. 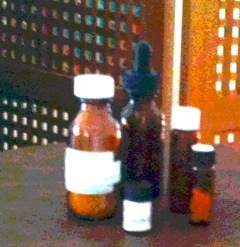 Then I determine which remedy you need. After you take the remedy — which comes in the form of tasteless tiny little pellets that melt in your mouth — we wait, we watch, and we see what happens. Taking a homeopathic remedy does not require that you stop taking your regular medicines. I will check in with you by phone or email to see how you are doing over the first couple of weeks. Sometimes people improve immediately and sometimes the changes occur over several weeks or even months. Six to eight weeks after our first visit we meet again, usually briefly, so we can assess how the remedy is working. Ideally we will see an improvement in your symptoms in this period. If not, we may need to change remedies or change doses.